Plastics that come in contact with your food or drink ‘should’ be safe based on the following general information. Look for the Recycle symbol (often on the bottom of the container) and read the number located inside the symbol. The following list cross-references the recycle number (recycling symbol) with what is generally considered safe for food (or not safe). #1 PETE (polyethylene terephthalate) Used for typical water, soda, and juice bottles. They are not designed for reuse however. 5 gallon ‘food grade’ buckets are made of #2 HDPE, and are generally opaque or mostly opaque which minimizes the amount of light penetration. If the bucket is considered ‘food grade’ it is typically marketed as such and / or labeled “Food Grade”, “Food Safe”, etc. Some food grade buckets or containers will include a cup & fork symbol as an indicator. A food-grade bucket or container might also be specifically marked as USDA approved (or FDA or NSF approved). If you will be storing food directly in a plastic bucket or container, or if you will be using the container for drinking water, you might verify the material is food-safe before you purchase. 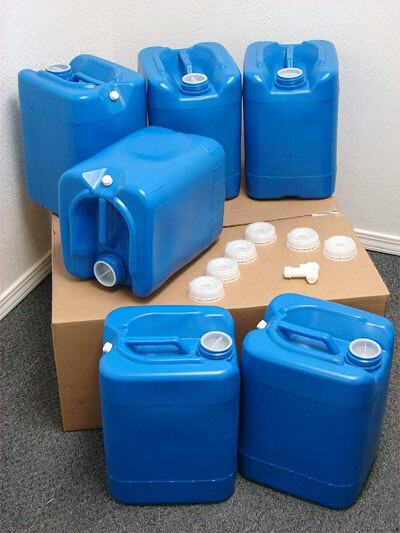 The typical ‘blue’ water storage containers or water barrels are also made of high density polyethylene #2 HDPE and are marketed as food safe. but not all #2 HDPE buckets are apparently food grade. Buckets that are not food grade may out-gas and leach into the container, as well as into the contents held within the container. #2 HDPE buckets that are not food grade may have been manufactured with a non-food-grade “mold release agent”. In some processes, a mold release agent is what is used to help get the newly shaped plastic off of the hard mold that it was shaped from during the manufacturing process. Without the release agent, the new plastic shape will likely stick to the mold. Some mold release agents enable much faster production than others, but may be toxic to your health if later used with food. Other processes apparently do not use a mold release agent and only use high pressure compressed air to blow the bottles into shape on the inside. No mold release agent of any kind is used inside the bottles of this process. If you are unsure, you might simply contact the supplier or manufacturer to confirm. Okay, now you know I have to say something. First of all, I don’t consider any plastics safe for food. I have plastic containers that were made about 30+ years ago and they are no longer considered safe for food, and these containers were originally made for storing food. I no longer use them for food, but other essentials. Even some of the food that had been stored still with-in the expiration date on the container will take on the taste of the plastic. I know, we have had this happen. I would like to know how they consider this safe. If you are tasting plastic, you are getting the same chemicals that are in that plastic. Yup, sounds like your containers are too old. For typical refrigerator food storage we use Rubbermaid containers and they’ve been excellent. ZERO residual taste of anything but the food itself. We seem to end up replacing these containers every number of years for one reason or anther. Losing covers, staining, etc.. That said, I wouldn’t necessarily trust decades old plastic containers for my fridge leftovers. Technology has changed lots since then. 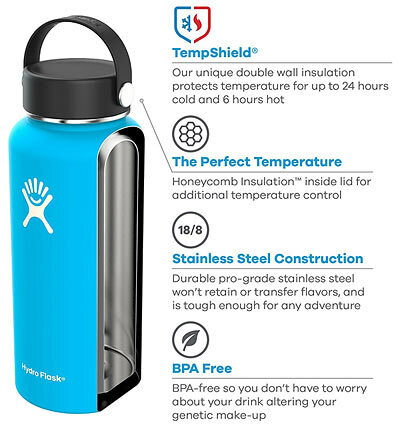 I have had the same experience with so-called safe bottled water. If they sit in the sun or in a hot car the water can taste like plastic. I have to ask myself how much toxic chemical yuck 😝 am I ingesting before it’s so obvious? I do keep bottled water with my GO BAG for emergencies when the weight of glass may not be an option, and I refresh my stash often! “Safe plastic food containers”, now there is a stupid statement if I have ever heard one. Only clear non-leaded glass is safe after it has been washed a few times and sometimes I question that. We’re all gonna die at some point…. Don’t sweat the details too much. I have seen people who take care of themselves in every aspect organic food, health food, vitamins, over exercising etc…. Then they get cut down by cancer early in life. It brakes my heart. It is unfortunate but you never know when your time is up. Better to go through life fat, drunk and stupid with no regrets. Plastic taste however is not appealing I try and store leftover foods in glass containers as much as possible for that reason. I understand what you have said. My wife of 48 yrs was a nurse for 43 yrs, we ate right, we exercised, you name it we did it. Then my wife was diagnosed with terminal brain cancer ( glioblastoma ) 2 yrs ago, I buried her last summer. You can do every thing right and still something happens that you can’t count on. Was she a heavy cell phone user? My condolences. So sorry about you wife. 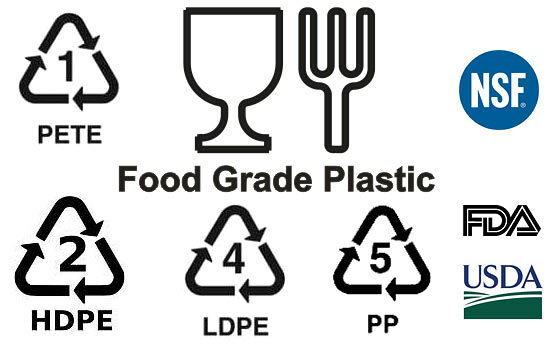 The purpose of this article was to helpfully identify the recycle symbols of various plastics to determine which types are being used today for foods / water, and considered ‘safe’. I don’t work for the plastics industry. I work for myself and run a preparedness blog. Many preparedness-minded people who are beyond Level 1 or Level 2 utilize plastics in one form another for their storage (e.g. 5 gallon buckets) and other such containers). So I felt this article and information to be relevant. We used to write on the IV bags with a sharpie if we had added any medication to it. The a concern developed that the ink might leach into the solution. As far as I know there were no ill effects from it but who really knows. What we consider safe today may not be safe tomorrow. The best scientists in the world once thought lead pipes for drinking water would be safe. Now copper and brass pipes might be questionable as they may have trace amounts of lead in them. I have a quick question. Mylar, as in Mylar bags for food storage. What type of plastic??? I usually pack dry foods into Mylar, then into plastic buckets. For liquids I will always turn to glass or stainless steel. I’m curious about mylar too. Was considering lining raised (garden) beds with it. The plan would be to pump heated water thru the soil & the mylar should help reflect the heat back into the soil. We have a very short growing season (zone two or so) & anything we can do to help the plants…. Thinking of those mylar emergency blankets or maybe that Reflectix building material??? Check out the materials that were used in the construction of the Mylar bags/blankets verses the Reflectix building material. Mylar I would have no problems with, but Reflectix(?). Mylar does come in long sheets so you have another option beside blanket lengths if you were not aware of its availability. I have always thought that heating the bottoms of the beds in a greenhouse and letting the tops of plants be cool would be better than trying to heat the whole greenhouse with hot air. Maybe put some bubble wrap on the bottom, heat tubing (I would suggest PEX) in the bottom of the soil column, them Mylar on top to reflect heat back down. As I mention above Mylar is PET and “food safe”. Good topic for discussion. I must be the most contrarian curmudgeon ever to surf this site. My take on this is that there is no such thing as a “safe” plastic just as there is no such thing as something for “free”. There is always a cost to everything and in the realm of safety and personal health, my monetary costs go up every time industry tries to cut back, down size, make things cheap and affordable, or make it easier or quicker and putting food in plastic is a good case in point. It seems like everything sold nowadays is in plastic bottles. We’ve tried to eliminate as much of that stuff as we can from our life and started making our own instead. If I can’t find it in glass and cannot make it then I won’t eat it. Vinegar is the only exception but… see below. Dill pickles used to be packed in glass jars but now are in plastic. We started making our own. Ketchup used to be sold in glass but no longer is. We now make our own. BBQ sauce used to be sold in glass, now it’s in plastic. We make our own. There are a number of things I stopped buying because I’m unable to find it in glass jars. Several years ago DW and I noticed that white vinegar was no longer available in glass gallon jars. We could only get glass jars in 32 oz and 16 oz bottles. That day, we sadly intuited the hand writing on the wall and drove around to a dozen or so grocery stores and cleaned out all of their 32 oz glass bottles of white vinegar. Now when we get vinegar in plastic gallon jugs we transfer it to glass for long term storage. We look at the expiration dates and buy the one that has the longest future date preferably 3 years out, which implies it was recently packed. We tested this theory once by keeping a couple gallons in plastic for three years and when we opened it found that the vinegar had gone flat and took on what I’d describe as an undesirable toxic flavor. Vinegar is supposed to have an indefinite shelf life if it is stored in a cool dark place but in plastic that simply is not true. Who the hell in their right mind would think selling and storing vinegar in plastic is a good idea?! Today we recycle all of our glass jars, especially the wide mouth gallons and ring neck gallon clear glass Carlo Rossi wine bottles. For daily water consumption we use the green glass Perrier bottles. Thankfully we have been able to accumulate a couple hundred of those little green bottles because now Perrier is sold in plastic bottles. I won’t be buying any more of their product. Just saying. Maybe you ought to invest in some old oak wine or bourbon barrels for water, they can be had fairly inexpensive, and can be cleaned fairly well. Strong too. I agree with you though, glass is still one of my favorites, all our ‘family wine’ in made in glass carboys then put into glass bottles. I was thinking the residual ‘product’ would act as a disinfectant for the water. My mistake. But $120 for a used 65 gallon oak barrel is a good investment in my opinion, and they can be used for other things when empty. I agree on the cost, but the shipping is the killer. You can pick them up in Denver for that price, if you ever get up that way. Dude, have you been to Denver lately? We have family still in there, so we do visit every couple of months. Since I got my CC permit I do feel a bit ‘safer’ going into Denver. Our trips could be best described as ‘quick and efficient’, try and get done what we need to do ( including stock ups we can’t get here) and return to the western slope. In the east go to Jim Beam or Jack Daniels. UMM just some water with bourbon or sour mash. Just curious, the CCW from CO or? lets switch conversation over to Saturdays conversation. I agree 1000% with you on the Vinegars and any high acid foods. Like you I’m working more and more on “making my own”. I can still find Pickles in one-gallon containers at Sam’s Clun (not an advertisement) and save every last Jar. And I have to admit, I’m a Ball/Kerr mason jar horde, I save and buy every last one I can find, even with the plastic lining on the lid I figure it’s a LOT better than a all plastic container. You are right about the flat canning lids. Fortunately all of my current supplies are Made in the USA and are supposed to be BPA free never-the-less, unlike storing food in plastic containers where the contents are in constant contact with the plastic where big time leaching can occur, canning lids generally do not come in contact with the contents of the jar after the canning process. I don’t store my canned goods up side down, so there really is minimal to no leaching involved. I’m ok with that. Agreed on the “contact” of food to the lids. YA want to talk NASTY wine? Klingon Blood Wine made with Kool-Aid, sugar, Bread Yeast and water….. OMG could not even distill it off and taste good…. Surprisingly I have noticed a slight increase in the number of foods that are starting to come in glass. I always buy foods in glass over plastic, sometimes a few pennies extra but worth it as far as health concerns. I do avoid buying anything in plastic, but sometimes its just unavoidable. I save the most practical glass containers to re-use for other foods. I am acquiring a good assortment. Peanut Gallery, I had bought some Pineapple in plastic containers, was bad in 6 months. Will NOT be getting anymore of that stuff for sure. I am glad to know about the “flat” vinegar. I do like the design of the plastic gal. jug though. Easy for an older person to carry liquid in. I clean them and put back incase I want to store some water short term. In the “Modern” world one can NOT escape plastics, period. BUT as far as long term Water and Food storage, unless you have a LOT of money to spend on Stainless Steel containers for water and a nothing but Glass/SS food storage containers you’re not going to get away from plastic. Now let’s say you’re rich like Ken, and have nada but, ohhhhhh, let’s say Glass Canning Jars. GREAT!!!! But what are you going to use for ‘Lids’? Are those not covered with a thin layer of “Plastic”? How about that Water storage, are you not using those Plastic Bricks? And the Stainless Steel refrigerator storage bowls, those also have a Rubber/Plastic seal on the Lid. Now I know the intent of the Article is to teach the “Differences” of plastics, and want to or not to use for Water/Food storage. BUT as even Ken pointed out the #2 HDPE containers may NOT be “safe”. How about those 5000 miles of ‘Plastic Wrap’ we all use? 99.99% of food comes wrapped in when ya buy it from Wally World? SO, with that in mind what do ya do? Personally I use as much Glass as possible, and will just have to “trust” the lids, but admittedly I do use a lot of that NASTY Plastic Wrap for freezing foods. OOPS. One last thing since I got going here, I’m a Home Brewer and learned very VERY quickly to do NOT use ANY plastic in the Beer or Wine making process. Not even a Plastic ladle to stir the brew when cooking or mixing. I have tasted Wine that was fermented in a plastic 5-gallon water bottle, NASTY is a polite word for it. Thanks Ken for the Article, and pointing out the supposed ‘Correct’ Plastic Containers for Water/Food storage, even though we still have NO idea if the #2 HDPE buckers are “safe”. Note I just read an article on the Ball Canning Lids, in which it was pointed out that many of the older lids still contained BPAs. The way to tell is ones that DON’T contain BPA have a “Dot” between the ‘flower” pattern on the lid, or under the Inscription it has “made in the USA”. Ever try to get the Pickle Smell out of a used Pickle Bucket? Ain’t going to happen, so if the Pickle “Smell” can penetrate the bucket and NEVER be gotten out, what makes one think the Plastic is not contaminating the food? Good Lord, another thing to take into consideration. Oh well, plastic it is because I’m not investing extra money to replace my food grade plastic containers for glass or stainless steel. Frankly, I worry more about food preservatives in my long term storage foods than plastic degradation. just looked it up. Mylar is Biaxially-oriented polyethylene terephthalate, a form of PET. So good to go for storing food in mylar bags. Like glass too, whenever I can. The BPA in cans is a problem though!!! Some of the organic brands are BPA free. Humm wonder if they are lined with something else yet to be known…. Dinosaurs, oil, plastic. Wonder if in a million years the plastic will have morphed into a product that future humans will use? It has to change into something….. Different topic here but my question is: I want to make raised bed strawberry gardens and use pipe cut in half, much like the videos showing them using rain gutters. Those are aluminum so I dont want to use them. Does anyone know if the pipe used for water would be safe ? I thought of using cedar wood planter boxes but not sure I can afford them. Any ideas appreciated, thanks! Hi. I am from India. Everyone here these days is opting for RO(Reverse Osmosis )purified water. Water purification plants have been installed in many cities and have been dispensing water for years now in the form of 20 litre cans. I think they are made from type HDPE plastic but I am a dilettante in that matter and am oblivious to that part. The bottles are very expedient for transporting and to use and most people are falling for the healthier prospects of pure water. Now I don’t know weather it is safe or not(probably not), but every retail shop is storing them out in direct sunlight. But the heartbreaker would be the transport vehicles exposing the bottles to minutes/hours of sunlight during their delivery drive. How hazardous is this if any and what kind of plastic is it made of . Please! I would like some input from some well informed sources. I was recently in a Panera in Georgia. I ordered one of their soups. I was dismayed to look into the kitchen and see that the vats in which the soup is ladled from, are lined in plastic bags. I called my local Panera and told them what I had seen. I told them I hoped that this wasn’t a company wide practice. She informed me that it is done at every location. I do not heat out of any heated plastic, at least not knowingly. I asked the manager about the labeling. She was happy to help and retrieved the packaging. She told me that it was labeled HDPE. I felt better for a moment, given what I’ve read about HDPE. But then I haven’t been able to find in one place saying whether or not HDPE is thought to be food safe when HEATED. Those soups sit there for hours each day. Any tomato based soups might be particularly absorptive if there are any questionable chemicals released with the heat. Any educated input is very much appreciated, along with any legitimate sites/sources. Thanks so very much! Sheila….– myself, I try not to eat out of any type of plastic. I have always said I could actually taste/smell the plastic in the food/drink. With the advent of new types of storage plastics/labellings, this has not changed. Not too long back, I read a couple of research articles which came to the conclusion that even the newest “safe” plastics did indeed offgas/leave chemical residue in foods/drinks. Here is an interesting experiment….take a container (bag) from whatever plastic you believe (due to label?) is now “safe”. Cut a sandwhich in half. Put half in this in the fridge. Put the other half in glass container in fridge. After a couple of days, open and smell each. My experience has been (with any foodstuffs), after storage in plastic, you can latterly smell the difference. Doesn’t seem like this would be a good thing. IS OLD AND NEW “CORNING WARE” SAFE…FOR STORAGE AND COOKING?